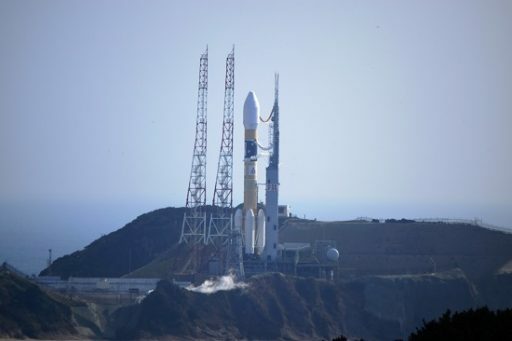 The launch of Japan’s H-IIA rocket with the third Quasi-Zenith Satellite had to be scrubbed deep into the countdown on Saturday due to a potential issue with the launcher’s propulsion system. 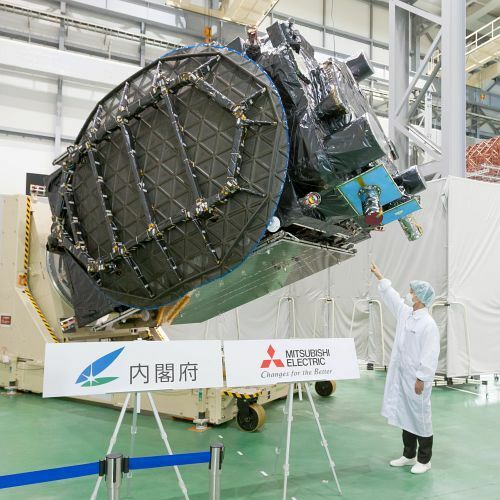 The Japan Aerospace Exploration Agency will announce a new launch date once corrective measures have been identified to deal with the problem and eliminate any technical concerns. Saturday’s countdown had been running smoothly following a midnight hour rollout of the 53-meter tall H-IIA rocket that set the stage for several hours of preparations to hook the vehicle up to ground facilities and complete initial power-up and checkout operations before pressing into propellant loading. 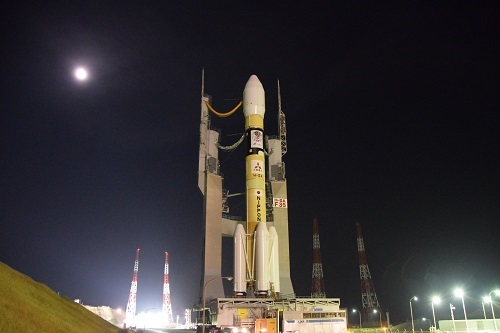 Launch Operator Mitsubishi Heavy announced at 19:30 UTC on Friday (4:30 a.m. JST) that terminal countdown operations were started after clean status checks with launch vehicle and ground system teams as well as downrange tracking assets. H-IIA entered propellant loading operations at around X-7 hours to receive some 120 metric tons of Liquid Hydrogen and Liquid Oxygen, reaching replenish at 23:19 UTC to begin the next phase of the countdown that comprised complex tests of the launch vehicle to gear up for the start of the X-60-minute terminal count to set up for liftoff. However, prior to the status check, teams decided to hold the clock due to a potential issue with the rocket’s propulsion system. The QZS-3 mission has the luxury of an exceptionally long launch window, eight hours and 34 minutes in Saturday’s case – providing plenty of time for troubleshooting. H-IIA remained in propellant replenish while additional assessments were conducted, heading deep into the day’s window that opened at 4:40 UTC. A scrub was officially called at 6:50 UTC after assessments determined launch would not be possible within the day’s window. 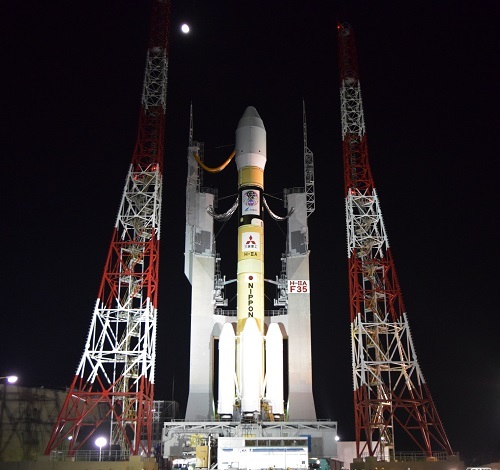 No further characterization of the propulsion system problem was made and JAXA said a new launch date would be announced as soon as it is determined. The launch of QZS-3 had been delayed earlier in the week from a Friday target to Saturday due to weather considerations. Weather is expected to remain favorable throughout Saturday and Sunday, then worsen for the first half of the week with cloud cover and rain forecast for H-IIA’s sea-side launch pad. 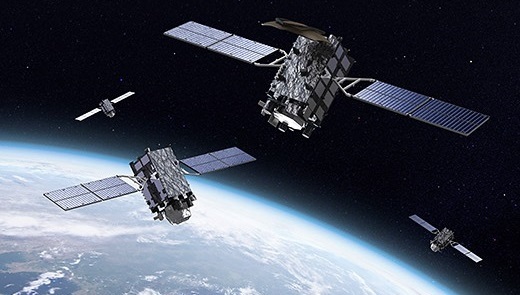 QZS-3 is the second of three Quasi-Zenith Satellites headed into orbit this year to establish the fully-operational QZSS constellation comprising one craft in Geostationary Orbit and three satellites in specialized Tundra orbits, optimized for high elevation angles over the Japanese Islands. As the sole GEO member of the constellation, QZS-3 is the heaviest of the group, weighing in at 4,700 Kilograms and requiring H-IIA to fly in its most-powerful configuration with four boosters clustered around the rocket’s first stage.